Well, yesterday certainly didn't go as planned. Instead of a day off, my Manager phoned me at 8:30 am telling me he was up all night vomiting and was running a fever. So, he got the day off and I worked for him. I'll be working for him again today and will hopefully get my day off on Friday. It was a fun day though, we had some really interesting customers come through the door and some great projects to help people with. And I did get some of the early morning errands taken care of, so it wasn't a total loss. But I didn't get to do laundry, work on my repair, do Solstice cards, or any of the other computer work that I needed to do. 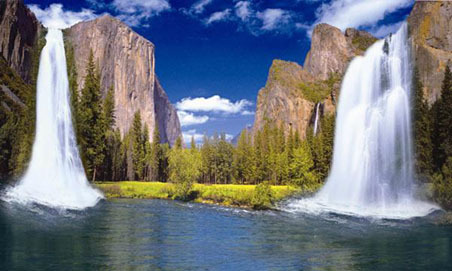 A beautiful twin waterfall in Yosemite National Park. 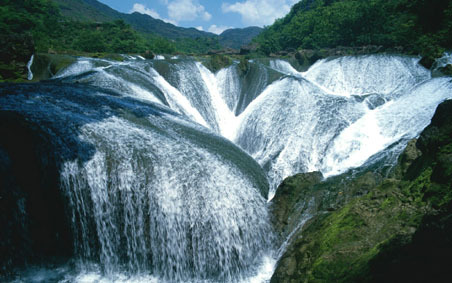 This incredible waterfall array is in China. Love it! Yesterday was a national test of the Nationwide Emergency System. What a joke! For weeks we have been warned on our radio and televisions that broadcasting would be interrupted at X time for this test. On TV, I heard the strident tones, but then the broadcast on CNBC went on as normal. On the radio, I got the tones and silence. But many stations had nothing happen at all, and apparently one of the satillite companies ended up with a Lady Gaga song playing instead of the "emergency" instructions. I call it a total failure. 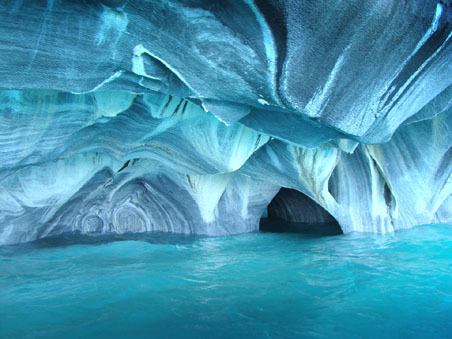 The marble cave above is in Puerto Rico. Maybe it's time for a vacation? 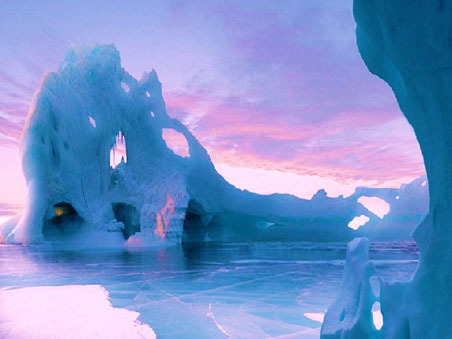 And finally, I offer some Arctic Ice Caves. Beautiful but too cold! So, since my schedule was totally messed up, I decided to find some wonderful eye candy for all of you. I hope you enjoy the pictures, and that I end up with my studio day on Friday instead. Current Location: Oy! I need sleep! They are pretty spectacular, aren't they? I have gotten used to rolling with the punches and, with any luck, will be able to take tomorrow off instead. At least that is my current hope :-) Thanks!